Lydia, a Junior with Girl Scouts San Gorgonio Council, says the Girl Scout Law asks you to do many of the same things the Bible does, to love and serve God and other people. Lydia Smith, an 11-year old Junior, joined girl scouts as a Daisy in kindergarten and never imagined all the wonderful experiences she would have! Each year she has set a cookie sales goal for herself and each year she has passed it. Because of her successes she has shared trips to Disneyland and Catalina Island with her Girl Scout sisters. And last year, because she sold more than 4,000 boxes of cookies, she experienced the wonders of Savannah, Georgia with other top sellers and some of the council executives. The memories of those trips will last her a lifetime. Lydia is part of STORM, a special team of role models who use their leadership skills to teach karate. She is competes often and is a California state champion. Lydia’s hard work and “never quit” attitude contribute to her cookie sales successes. She applies those same skills to her many other activities. Lydia loves to read and write stories and is an “A” student. She is part of Odyssey of the Mind, a creative problem solving team. She takes watercolor lessons from a local artist, is part of her school choir and dances with a hip hop team. She loves karate and is part of STORM, a special team of role models who use their leadership skills to help teach karate classes. 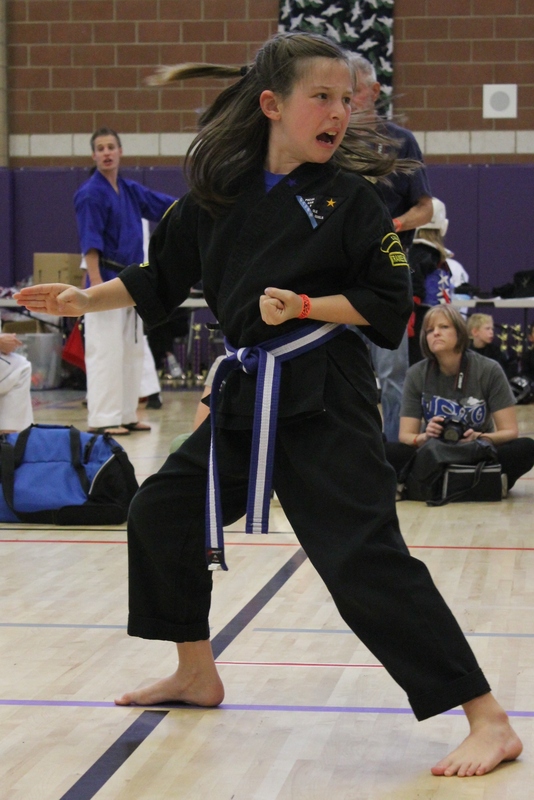 She competes in karate tournaments and is a California state champion. 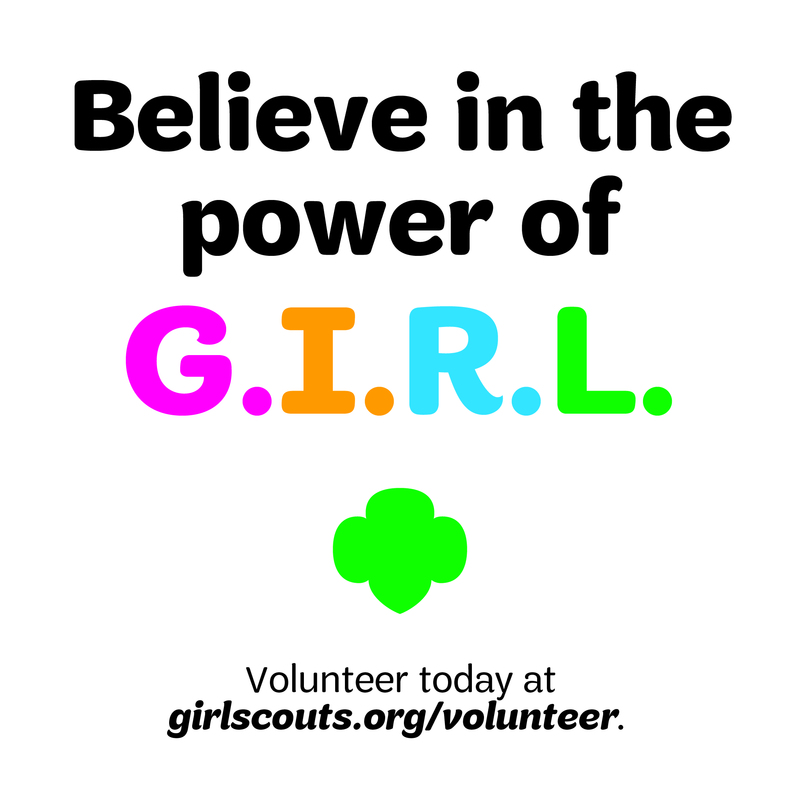 She is active in her church and says the Girl Scout Law asks you to do some of the same things the Bible does, to love and serve God and other people.Lydia feels that Girl Scouting and the cookie program is an important part of her life and not being a part of this would make her feel incomplete. 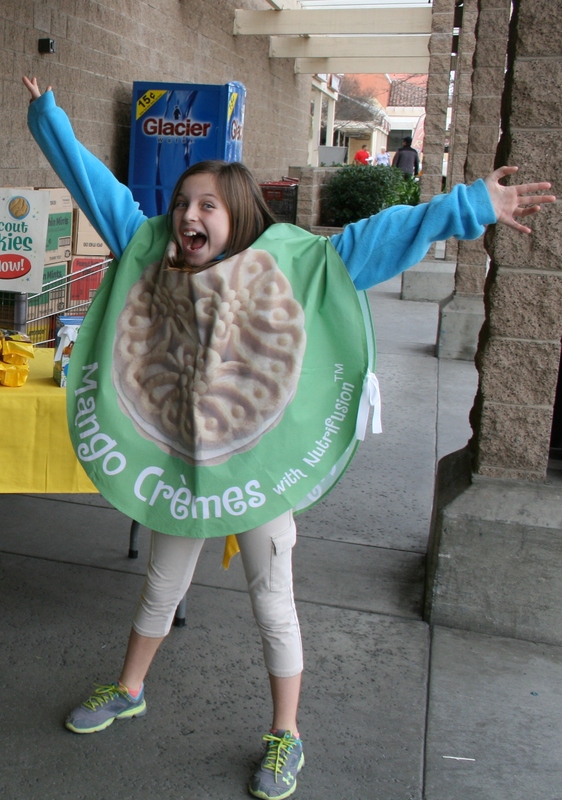 Last year Lydia sold more than 4000 boxes of Girl Scout cookies! “Being a part of something bigger than myself means so much to me,” she said. 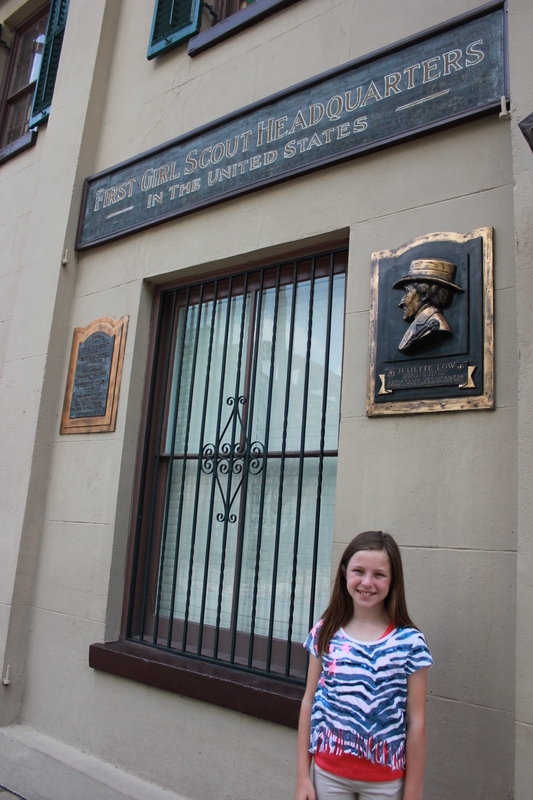 Lydia at the Juliette Gordon Low birthplace in Savannah, Ga. 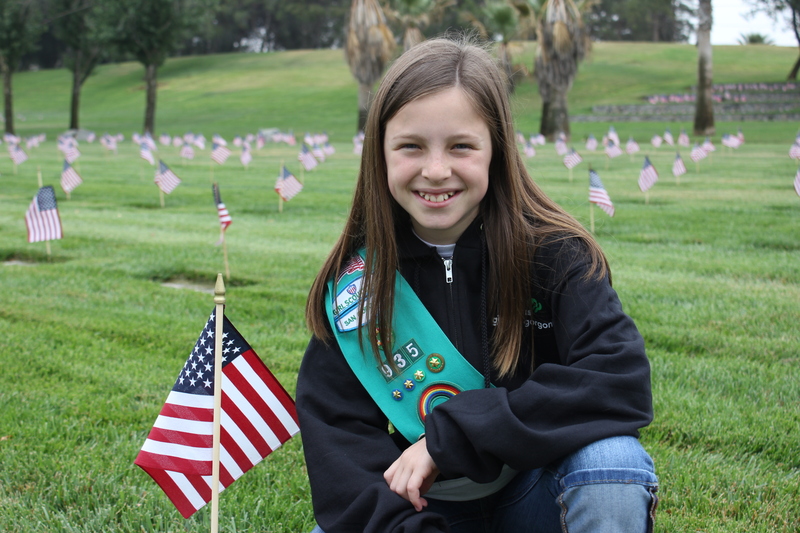 Her parents are grateful for the extraordinary experiences Girl Scouting has given Lydia. They have watched as her work ethic developed over the years. They know she is learning skills that will make her successful now and in the future. 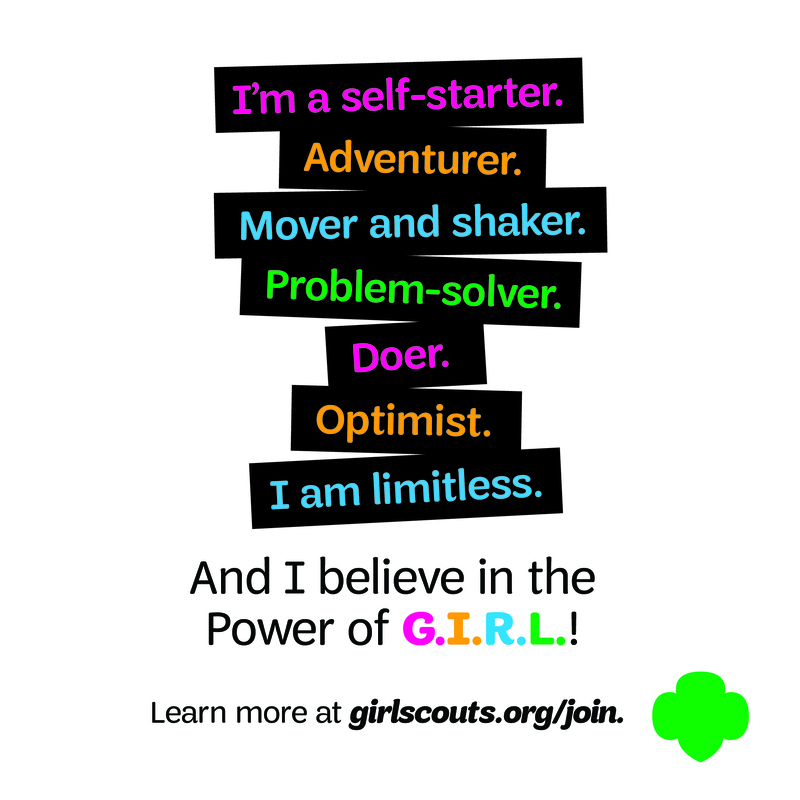 Scouting is encouraging Lydia’s development as a well-rounded young lady of confidence, courage and character. She sees opportunities daily to help others and truly understands that a life of service is a joy filled life. Whatever Lydia decides to do in the future, whether to be a doctor, lawyer, author, artist or stay-at-home mom, we are confident she will take on her tasks with enthusiasm and will make the world a better place. We’re lucky to see stories like this, I appreciate you for posting. Previous Previous post: Barbie Workshop in Low Desert a success! 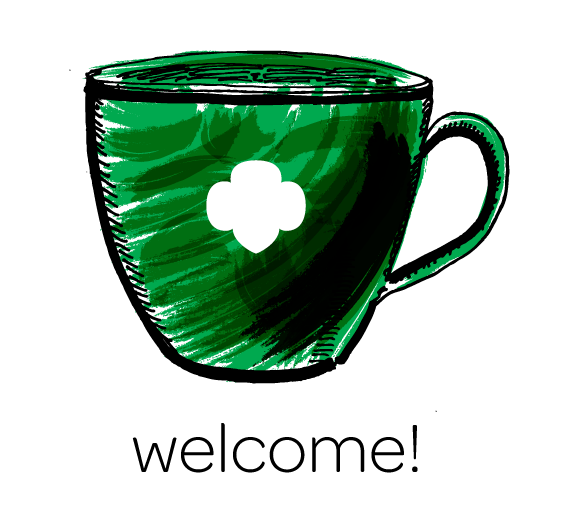 Next Next post: Girl Scout Troop 272 host Operation Christmas Child, a major success story!